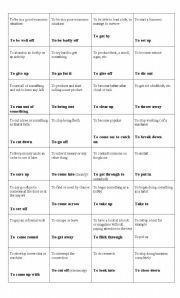 Nice game to revise verbs that are followed by prepositions + gerund, by to infinitive or by bare infinitive. 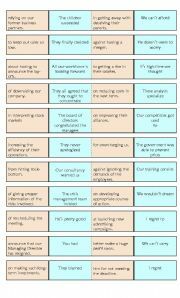 Specially designed for business lessons. The last card coincides with the first one. You must cut the cards along the dotted lines only! 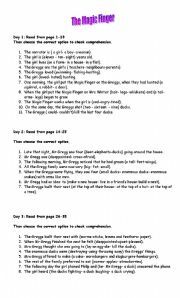 Detailed exercises to check comprehension of this beautiful story by Roald Dahl. Ideal for business lessons. 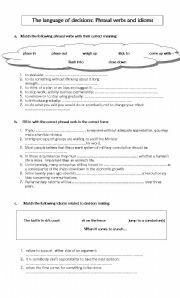 Students match phrasal verbs and idioms to meaning. Then they fill some sentences using them. 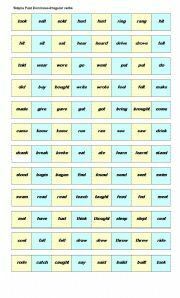 Dominoes with irregular verbs in the simple past. Just cut out the cards along the dotted lines and have fun! Business English verbs connected to products and services+ ordering food, asking for suggestions, making suggestions. 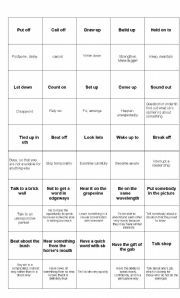 Memory game to revise some phrasal verbs and idioms. STs work in pairs and put cards face down. In turns they�ll try to get 2 related cards. If the st gets a pair, he�ll go on picking cards. The winner is the one who can collect the largest number of cards. 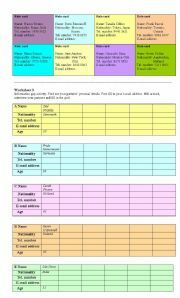 Written and oral activities for beginner business students. 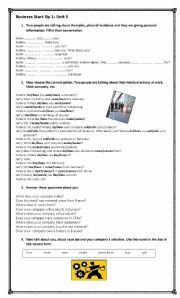 Done for Business Start Up 1, but it can be used to fit any adult course. 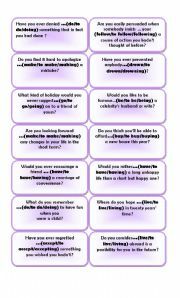 Roleplay cards for beginner students to practise identification, age, telephone number, nationality and e-mail address.